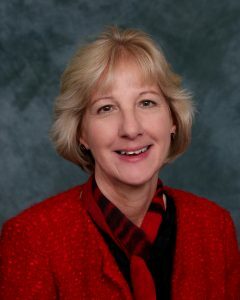 INDIANAPOLIS — Debra K. Litzelman, MA, MD, MACP, has been awarded Mastership in the American College of Physicians (ACP), the national organization of internists. Dr. Litzelman is the D. Craig Brater Professor of Global Health Education and Professor of Medicine at the Indiana University School of Medicine (IUSM), a Senior Research Scientist at the Regenstrief Institute, and staff physician for the Eskenazi Health Care System. She also is Director of Education for the IU Center for Global Health and helped created IU’s Interdepartmental Global Health Residency Track and an Implementation Science Research Fellowship in Kenya. Previously, she was the Associate Dean for Medical Education and Curricular Affairs, where she co-created, implemented and evaluated an innovative competency based curriculum for the IUSM. Dr. Litzelman has over 50 publications to her name and is the co-editor of a book. Widely recognized as a superb clinician-educator, she has received numerous teaching awards. She is also an accomplished medical education and health science researcher with receipt of over $40 million in grants from foundations, intra- and extramural funders. Her research focuses on improving the health and health care systems for underserved, under-resourced populations. Dr. Litzelman was awarded the Laureate Award from the American College of Physicians Indiana Chapter in 2014. Election to Mastership recognizes outstanding and extraordinary career accomplishments. Masters must have made a notable contribution to medicine. This includes, but is not limited to teaching, outstanding work in clinical medicine (research or practice), contributions to preventive medicine, improvements in the delivery of health care, and/or contributions to the medical literature. ACP will honor new Masters at Convocation during Internal Medicine Meeting 2017, ACP’s annual scientific conference. The meeting is March 30-April 1 in San Diego.